All illustrations on the ECG Guru website are FREE for you to use in a teaching application and are COPYRIGHT FREE for such use. If you need an illustration for your packets or presentations, and don't find it here, contact the ECG Guru staff at [email protected] For commercial use, contact us at the same email address. Click on illustration to open. User-Friendly Review of the 3 KEY ECG Intervals! I've always assumed that the ST segment ends where the T wave begins. Am I wrong? Hi, Dave. I was always taught that the ST segment ends at the peak of the T wave because the gradual slope of the ST segment prevents us from identifying an exact point where the T wave begins. I never really gave it a lot of thought because I was focused on the J point (for elevation and depression) and the overall shape of the ST segment (which often is altered all the way up to the T wave peak. Since we don't measure the duration of the ST segment, but rather the QT interval, this question just never came up before. I welcome any and all comments, and if I am wrong, I will be glad to find out and correct my thinking. Thanks for your comment. Interesting question that Dave asks. These days, I’m getting a lot of these types of questions that are difficult to answer from my 4-year old grandson — like, “Why is the sky blue?” Like Dawn, I haven’t really thought about where the T wave “begins” on a schematic tracing like the one shown here. But I HAVE thought about this question often in assessing ST-T wave changes when there is ST depression and T wave inversion (or a biphasic neg-pos T wave). Often, I simply don’t know from looking at the ECG where the ST segment ends and where the T wave begins — which explains my tendency to write in my interpretation that there is “ST-T wave depression”. That said — I think the Figure shown here of “Waves & Intervals” is confusing for several reasons: i) While there probably is some area of “transition” between the end of the ST segment and the beginning of the T wave — that transition zone is almost certainly MUCH SMALLER than the 0.06 second duration of overlap between “ST” and “T ”wave that is schematically shown here; ii) The purpose of looking at all 12 leads on a complete ECG is that doing so clarifies the beginning and end of key intervals that often is not evident from inspection of a single lead — but the single lead figure shown here suggests otherwise; and iii) The important concept relating to the ST segment is whether the segment is flat, elevated or depression and NOT the “duration”of the ST segment — and that important concept is not invoked at all by this schematic figure. 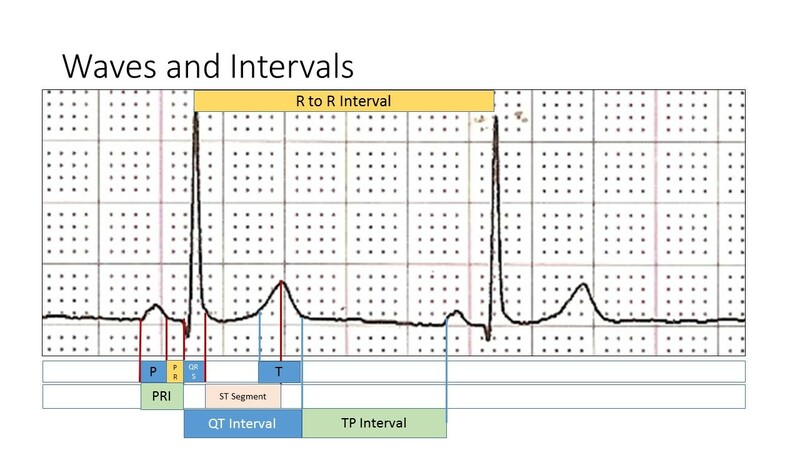 So My Thought — is that the ST segment DOES end where the T wave begins (although in “real life” where that point is, is not always obvious on the ECG). I agree that it's often difficult to define the end of the ST segment but I think that concepts such as horizontal, upward-sloping or downward-sloping ST depression only make sense if we are referring to the bit of ECG between the end of the QRS and the start of the T wave, since the T wave is usually upward sloping at the start. I think it's helpful conceptually to separate the ST segment from the T wave even if it is often difficult to do in practice.